universe and then remember that God made it all! for an out of this world adventure. 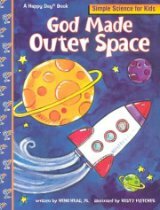 and learn about the exciting world God designed just for us! more complex subjects. Ages 3-7. 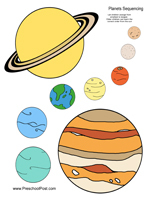 Decorate your classroom or a young astronomer's bedroom with this set of 93 solar system punch-outs. 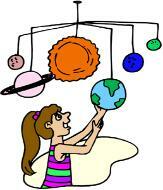 Planets, planet labels, stars, and comets are included! grape in the hole. Looks like a UFO! "My God is So Big"
lifting and dropping the parachute. system out of colorful play dough. more of the planets. Ask them if they know how many planets are in our solar system. 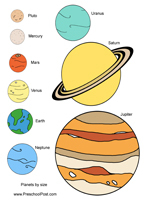 the concept of the solar system. nine planets, and now we only have eight! the children to sort them into categories by color or size. Let them place them in order from smallest to largest. 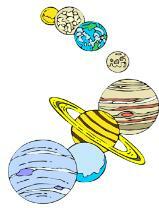 The "sun" shines onto the nine planets as they orbit around it. The central tower and planetary support rods are black so that they "disappear" in a darkened room for a spectacular effect! Replace the solar dome with the star dome included to create a spectacular planetarium sky complete with major constellation names. In addition the base features a special 1000-hour light bulb and planetary longitude marks so the planets can be set up to their correct positions. 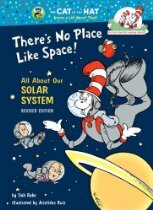 The Solar System model is powered either by four C batteries (not included) or by an optional AC adapter (not included). adapted for other planets as your time, resources, and creativity allow. of the planets on the backs.